George Orwell has become a mirror into which any political position can look into and see itself staring back. But make no mistake — Orwell belongs to the Left. During the first week of revelations concerning the National Security Agency’s “Prism” program, George Orwell became red hot. Or, more precisely, reading (or at least possessing) Orwell’s 1984 became red hot. Sales of the classic shot up 7000% on Amazon within days of the first reports about the new and ominous shape of our surveillance culture. Orwell’s sudden popularity comes at a cost to the author’s legacy. Reading 1984 and Animal Farm provides only a simplistic introduction to a complex thinker. Moreover, his writing and action in the midst of internecine struggles on the Left have made his legacy difficult to understand without a close analysis of both his life and works. Orwell has become a mirror into which all manner of political positions can look into and, without fail, see themselves staring back. It is past time to reclaim Orwell as a comrade in struggle for a better world. Sadly, there are more than a few Ron Paul cultists, free-range anarchists and libertarian hacktivists who view 1984 as a kind of companion volume to Atlas Shrugged . Even Glenn Beck frequently quotes select portions of Orwell. The late Christopher Hitchens further muddied the waters, using Orwell as an archetype for his own late-life swing from the Left and subsequent support for George W. Bush’s War on Terror. Obscuring the issues further, the general public’s knowledge of the book comes largely from a 1954 animated feature, that as Daniel J. Leab shows in his excellent Orwell Subverted , received financing from the CIA. Made several years after Orwell’s death, the film represents a serious revision of the novel, suggesting not that the Russian Revolution had gone awry, but that it should never have occurred at all. Positive representations of Leon Trotsky (“Snowball” in the book) are deleted or softened. “Old Major,” the aging philosopher that’s a blend of Marx and Lenin in the novel, is made to look fat, stupid and ridiculous in the film. The last few years of his life, Orwell himself contributed to the confusion about his politics. Firmly on the Left, he associated with anti-communist socialists who became deeply disenchanted with the course taken by Soviet foreign policy. Working with the Partisan Review , Orwell became a staunch proponent of the anti-Stalinist Left Opposition. In the final months of his life, he also made the fateful decision to write up a list of thirty-five names of Stalinist sympathizers and bourgeois liberal apologists for Stalin’s “show trials.” It should be noted that Orwell hoped the British government would use this primarily for propaganda; this was not the type of “list” so familiar in the House Un-American Activities Committee witch hunts in the United States. Still, it was an indefensible decision for a dying man who himself had a hefty MI5 file that detailed his “communist” activities and associates. Orwell’s own prolific writing provides us with a better understanding of these isolated facts about his biography. From his pen (and from his gun barrel in the Spanish Civil War), fascism has seldom had a greater enemy, and socialism few greater champions. The second half of the book constitutes a ringing defense of the hard left position. 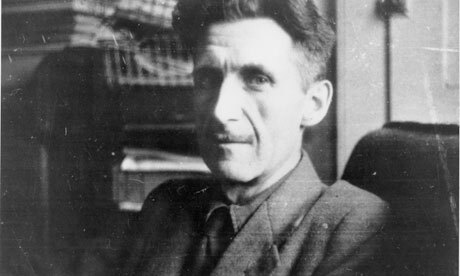 After giving one of the most thorough, and elegant, analyses of class attitudes ever written in English, Orwell essentially says that no sane person can fail to see socialism as the only real answer to these problems; only those with the “corrupt motive” of “clinging to the current social system” could stand in opposition to it. In general, Orwell saw socialism in his day as failing at its most basic task: helping to foster class-consciousness. What difference, he wonders in Road , does it make when a bourgeois joins the British Communist Party? Not much, he concludes, as too often the whiff of dilettantism could be detected. What was needed, he believed, was an unwavering commitment to class struggle rather than the sort of faddish progressivism that too often cripples the building of a mass movement of the people. This hatred of leftist cliques and clubby lingo sometimes drove Orwell into rhetoric easily lifted today by conservative quacks. Vegetarians made him cranky. The masculine ethos that he shared with fellow socialists Jack London and Ernest Hemingway blinded him to the connections between the availability of birth control and economic justice. His stentorian tone on such matters grew out of his insistence on the centrality of class struggle. At the end of the day, class struggle meant exactly that: a war between the robbers and the robbed, not a subculture of outré political choices. Socialists, he suggests, are very often socialism’s worst advertisement. Orwell also proves prescient in his discussion of redefining Marxist categories for the new world he watched being born. He worried that too much socialist propaganda has represented the “mythic worker” as the burly, overall-clad bricklayer and miner. He knew that “the worker” straight out of Soviet Realism increasingly would be replaced by a new kind of proletariat working under a new phase of capitalism. What, he asks, “of the wretched army of clerks and shopwalkers?” His idea presages our current awareness of the possibilities of building a movement that includes cubicle workers and call center employees, Walmart “associates” and fast food workers. Orwell knew that if we use the language of exploiter and exploited, the left could make its case. Those who confront the vicious nature of capitalism through each day’s long working hours know exploitation first hand. They are not dilettantes and, Orwell reminds us, the revolution belongs to them. The struggle to create a relevant left will depend on the ability to speak a language of class struggle without falling into the theoretical obscurantism common to Marxists in western society today. Orwell’s trenchancy in Road would have been even firmer had he seen the fate of Marxism in recent decades. In the US, “Marxist” more often appears as an element in trendy academic subcultures rather than the ideology of a mass movement. The first step to reclaiming Orwell is to read Orwell. The Road to Wigan Pier and Homage to Catalonia are obvious places to begin. The latter, concerned with his experiences win the Spanish Civil War fighting with Trotskyists, puts his vehemently anti-Stalinist position in context. It’s also worth remembering that, before anything else, Orwell was an inveterate essayist, one of the most prolific reviewers of books, films, plays and ideas the twentieth century produced. Essays such as “Can Socialists Be Happy?” and even seemingly unrelated pieces on Charles Dickens, Tolstoy, and tea drinking are filled with class analysis and critiques of the industrial capitalism he knew well. Orwell’s name and 1984 continue to have such powerful resonance that it isn’t surprising so many seek his imprimatur. And, as with all complex thinkers, it’s possible to find what sound like supporting quotes from both his writing and life experience for a host of ideologies. Mercenary uses of bits and pieces of Orwell’s work are meant to appropriate him for reactionary aims rather than the goals he spent his life fighting for. Glenn Beck, though shameless, should be ashamed. Christopher Hitchens did a disservice by trying to claim him as his patron saint. George Orwell belongs to the people. Scott Poole is the author of Monsters in America and the forthcoming Vampira. He teaches cultural history at the College of Charleston.